To all of you who are thinking about whether 3D printing makes sense for you, there is a lot to take into consideration when designing and developing your product. 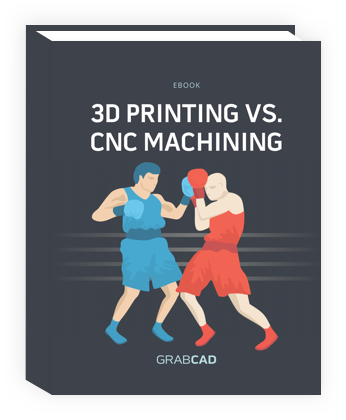 When designs are still fluid and specifications are in flux, two common choices arise: 3D printing and CNC machining. Both can meet your needs, but which one do you choose? We're here to help. We've set out to save you hours of research and boiled it down to a single comprehensive eBook. This ebook will look at both technologies strengths and identify when is the right time to use each process. As always, feel free to share your feedback. Are these topics useful? What should we cover next? Let us know. Copyright © 2018 GrabCAD, Inc.